Crow pose, or bakasana (bah-kah-sah-nah), is often one of the first arm balances students learn on their yoga journey. It takes great focus, strength, balance and determination but the rewards of this pose are worth it! You may be worried about attempting this pose but try to remember that it’s not about the destination, it’s about the journey. Nailing advanced poses will not make you a better yogi nor will it make you enlightened. 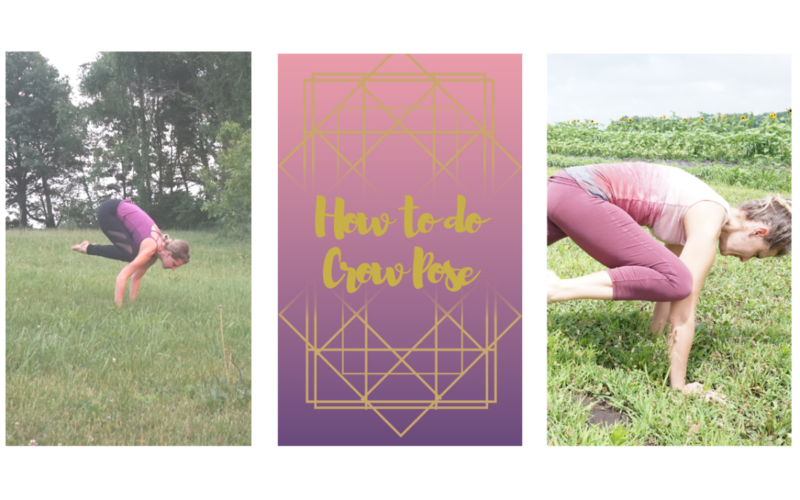 The desire to do these poses with ease, however, is one that can help you get back onto your mat, even on the days when you’d rather snuggle up and eat a pint of ice cream! There are many benefits of this pose. It helps balance the second, or sacral, chakra. Crow also strengthens the wrists, forearms, upper arms, shoulders and abdominals. The areas that are stretched in this pose are the upper back and groin. It improves focus, balance and coordination. It can also really help improve your self-esteem on your mat as it offers a huge sense of accomplishment. Do not do this pose if you have carpal tunnel syndrome, hip or shoulder injuries or are pregnant. If it hurts or causes strain, back off until you build more strength in more basic poses such as plank, downward facing dog and chatarunga. Crow pose is often taught in ways that make it way harder than it has to be. Watch this video and get some tips and tricks that will make your journey to crow a much smoother one! Want support on your journey? Make sure to do the 30 Day Foundational Yoga Challenge! It will help you finally commit to a more regular practice. Get the details about the free challenge here. Maybe you’re looking for the perfect yoga teacher training? I’ve got an amazing training in Costa Rica you might be interested in. Check that out here.